Breaking bread. A tipster spotted Communications Minister Malcolm Turnbull having dinner with his wife and the ABC's Leigh Sales and Annabel Crabb last night in Glebe Point Diner, not far from the Ultimo studio where Sales had interviewed Turnbull on 7.30 earlier in the night. While Sales and Turnbull discussed Q&A and where the responsibility lay for hyperbole about Islamic State earlier in the night, who knows what they talked about afterwards ...? Could Peter Dutton have won if he had made chapatis on the national broadcaster? Who knows. Back In Time For Dinner gets 1000 neoliberal humanist points for simulating (and believing) the rosy history of 1950s Australia. We know what you're thinking, but don't worry: this 600 page odyssey of the Milky Bar Kid is only the first of two volumes. 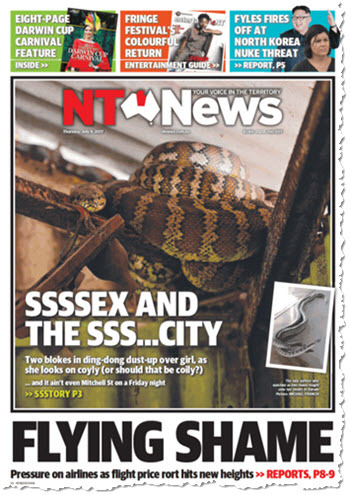 The NT News has delivered a most Northern Territory of tales. 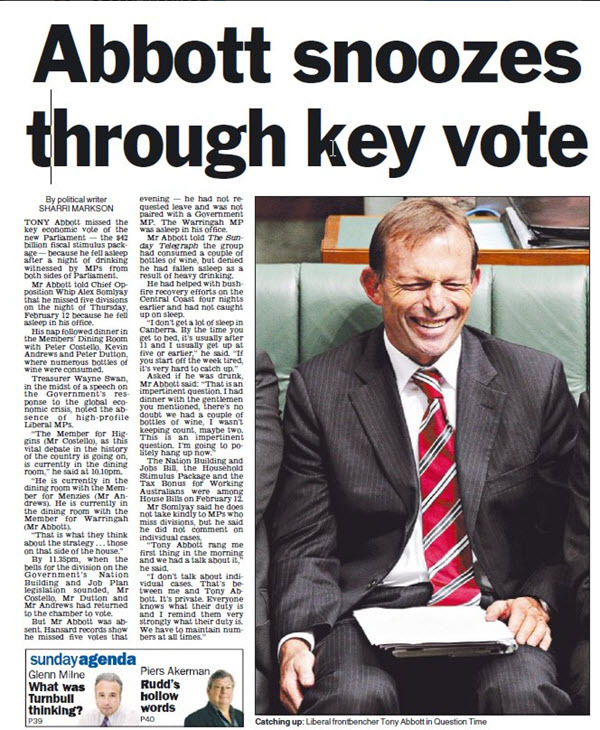 The Daily Mail, of course, ripped it off.